Each year, student nominees from the University of Illinois School of Music audition for Krannert Center’s Debut Artist competition. 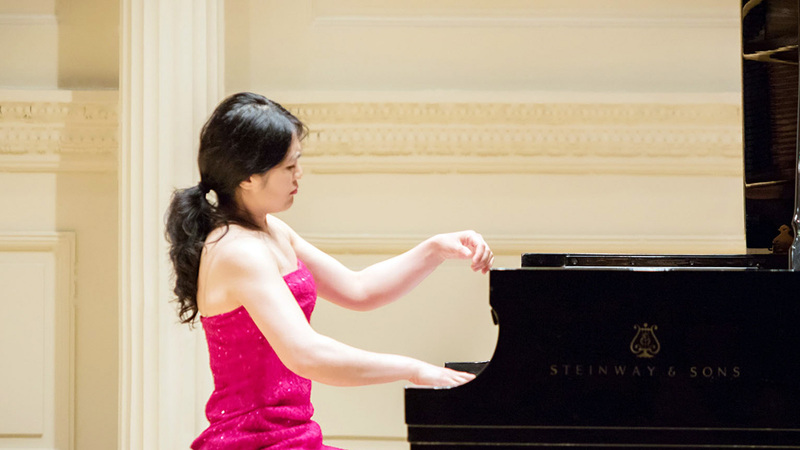 As the winner of this competition, pianist Lishan Xue will present a recital on the Foellinger Great Hall stage to launch her professional career as part of Krannert Center's Marquee Sunday Salon Series. Previous winners now teach and perform throughout the world. This performance presents an opportunity to experience the emerging artistry of a rising young musician and see history in the making. Salon-style performances offer a close connection between artists and guests, as audience members sit in six rows of seats on stage with the performer. Light refreshments are served before and after the performance. Balcony tickets (without refreshments) are also available. This performance will last approximately 75 minutes.